We are cutting the cord. After years of having one cable monopoly to choose from, waiting for someone to show between 8 and 4 for service, paying for channels I don't watch but come in the "package deal" and most recently threats of a network with my fav shows being dropped... we are dropping cable and looking at alternatives. Aaron has been ready to do this for years but I wasn't. Getting rid of cable felt like a step backwards. I loved our DVR and watching shows when I wanted to watch them. With all the new alternatives now however, this feels like a step into the future. There are blogs and tweets and articles all about cutting the cord. The big eye opener was streaming Netflix through our Wii. It all became so much more doable. Over the past few days we have looked at Google TV, Apple TV, Vudu, Amazon Video, Hulu Plus, Boxee and Roku. 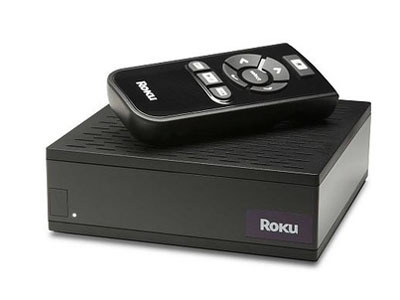 We are down to choosing between Boxee and Roku. We'll see how it goes. I am really interested in how this turns out for you.. not a TW fan.. and losing more networks is def. making us think about going the same route. Good for you. Having given up our cable (TV) for almost 2 years now, I can say it is quite LIBERATING. All the crappy shows (esp. the reality trash) made us do it. We don't miss or regret it. Good luck transitioning! We love our Roku. It's an older model and cannot rewind a few seconds. You have to skip back a few frames and wait for it to reload if you miss some dialog. I would definitely choose a model that had the ability to skip forward or back a few seconds without waiting for that reload time. what are you guys doing for internet service? i would love to do something like this, cause like you guys, i hate paying for channels we never watch. but we also get our internet service through our cable company. what say you? We got a Boxee and I'm not that impressed. I think it will be better down the line. It needs some more apps--Hulu and NPR and a really good movie trailer site would be a giant start. Mostly, we've used it to watch YouTube videos, which is fun. My advice would be to really look at their list of apps to see if you are interested in them. I think I'd be happy just streaming Netflix, which we do through our Xbox. ooooh! please do report on what you decide. i have been without cable for many years, but have been considering roku for streaming, since i don't like watching shows on my laptop. We have had a WDTV for about 6 months now and overall we are pretty happy with it. The integration with Netflix is great, and you can also get to your Pandora and Youtube accounts with it. Another plus for us was the ability to connect to network shares for streaming videos. So, any videos you can download online are game for playing on the WDTV. We were also looking at the Roku and and at the time it didn't have that capability. The only thing that would make it better is a better way to integrate with Hulu, but I instead just watch the shows on hulu with my laptop when I am in other rooms of the house where we don't have a TV. we ditched cable and went with netflix... it's been about a month and i don't miss cable one bit :) you can do it! we also downgraded out internet service to the "slower" package... but honestly, we haven't noticed a difference (and we do a lot of streaming). I'd really like to do this but need to research it more because I'm a news junkie (local news especially) and I'm pretty sure we'd miss hockey/football. Please be sure to post what you end up doing! Please please keep us posted! You're actually going to be doing what it sounds like many of us have been contemplating. Please let us know how easy the transition is, how 'techie' you need to be to do the set-up, what other equip. you need, and what are you doinf for internet service (since that seems to be bundled with cable for most people). Yes! I am also thinking about pulling the plug, but am having a hard time actually doing it. Can't wait to see what you guys end up doing. We dropped the cable at the beginning of the year, and we love the Roku! I forgot all about missing the Food Network and HGTV when I realized how many great shows are available on the PBS digital stations. We use the Roku with Netflix, and now that it's availble, we're trying out Hulu Plus. We also have an HD HomeRun hooked up, so we can watch the broadcast tv on our computers. We have been without cable or network TV for over 2 years and rarely do I miss it. We have Netflix, Blockbuster and fill in with Hulu/network sites and the occasional streaming site. I've looked at the boxes, but still haven't settled on one yet. I'm with everyone else - Can't wait to hear your decision. I decided I'm going to gid rid of cable myself; too much money and I really don't watch it all that much. I'm trying to figure out what I do watch and what would successfully replace it. 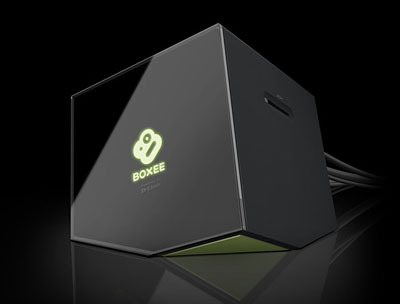 Hadn't heard of Boxee - will have to look into that as yet another option! We downgraded to the most basic satellite package (to get local stations only - costs about $10/month) and have been watching Netflix and using our AppleTV. I can see most of the current shows I want to see online somewhere and my boyfriend gets season passes for Mythbusters and The Daily Show on iTunes. I'm just about ready to dump satellite altogether as I find I'm rarely watching even the news anymore. If cable or satellite would do it, I'd be all for a la carte packages. I'd like to be able to pay for only the channels I want. Sadly, I doubt that will ever happen. Interested to see how this turns out for you.